Create harmony and peace in honor of the bond you share. This unique and fashionable bouquet bursts with our finest blooms. 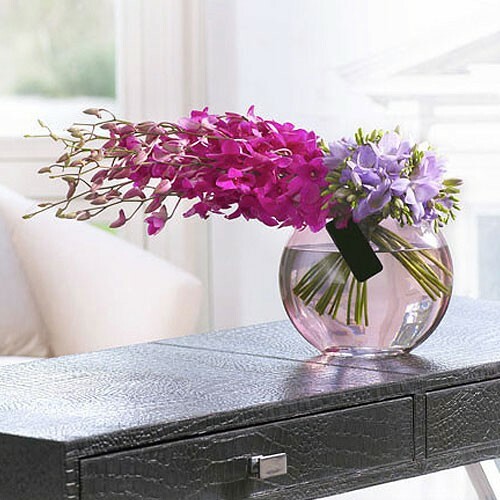 featuring the very best purple Dendrobium orchids and lilac freesias, expertly arranged in a glass vase are the perfect pair brought together in a superior clear glass fish bowl vase to express your heart's every wish.